Happy Canada Day from Sooke BC! 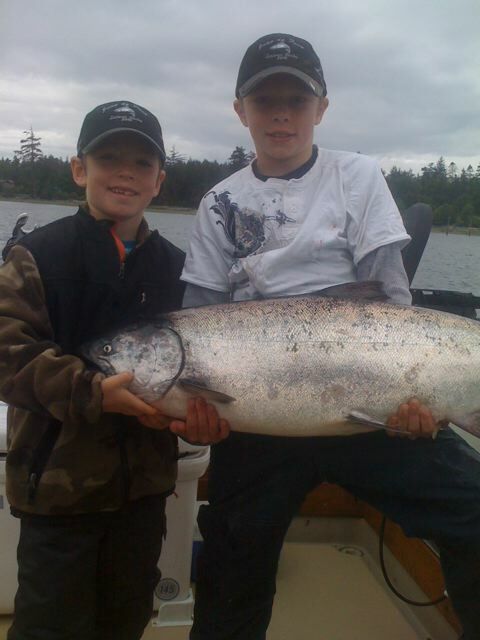 The salmon fishing on south-west Vancouver Island is heating up in the last few days. 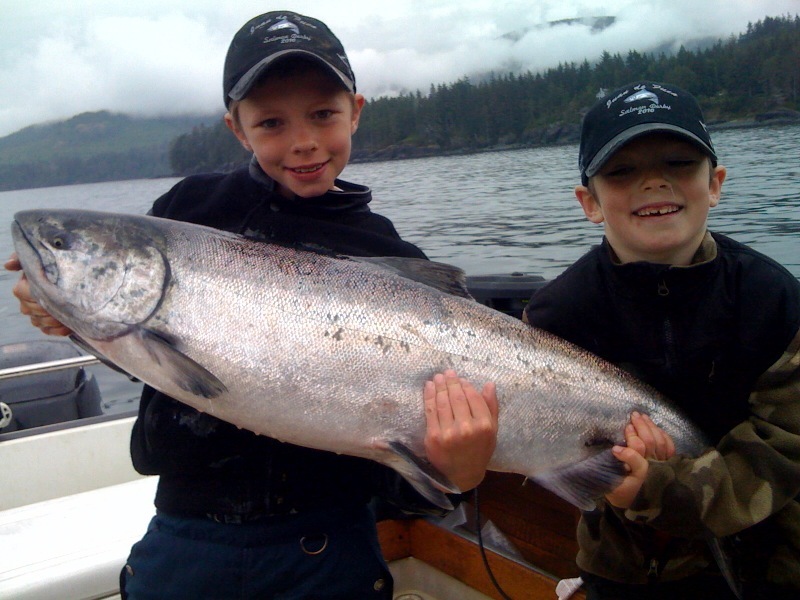 Mark Price hooked into 6 Chinook salmon at Muir Creek today, plus a sockeye and a coho. After the slower on and off fishing of the last few weeks, it looks like things might be on again! Dave from Ocean Dreams Fishing Charters caught two nice chinooks today 23 and 32 pounds. 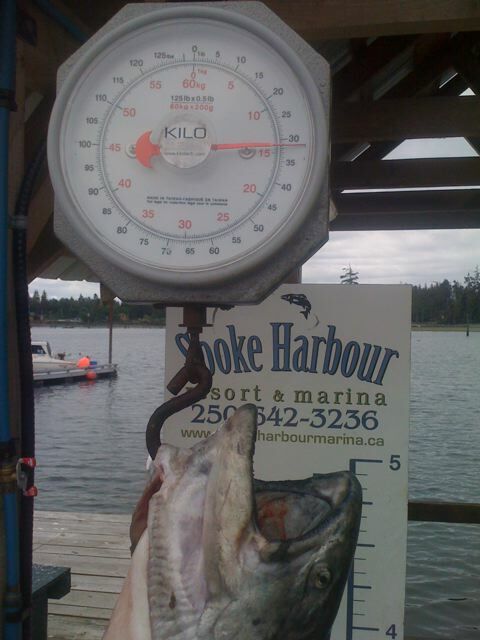 He caught the spring salmon at Sheringham point, in 50 feet depth on herring...limited out by 10:45 am. 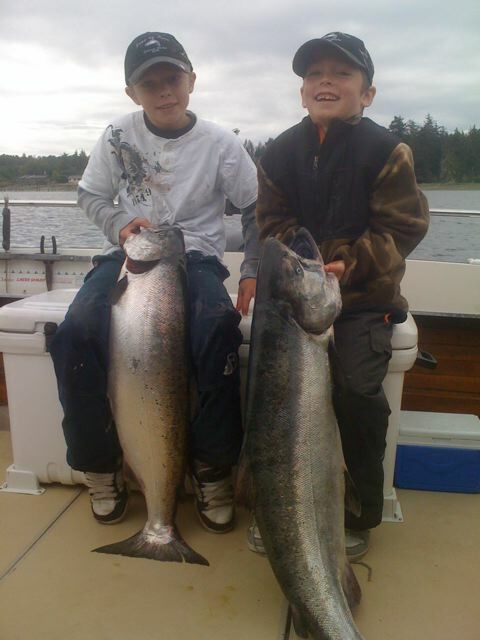 The photos are Dylan and Cameron with their nice fish. Time to get out there and get in on the fun. Good luck!